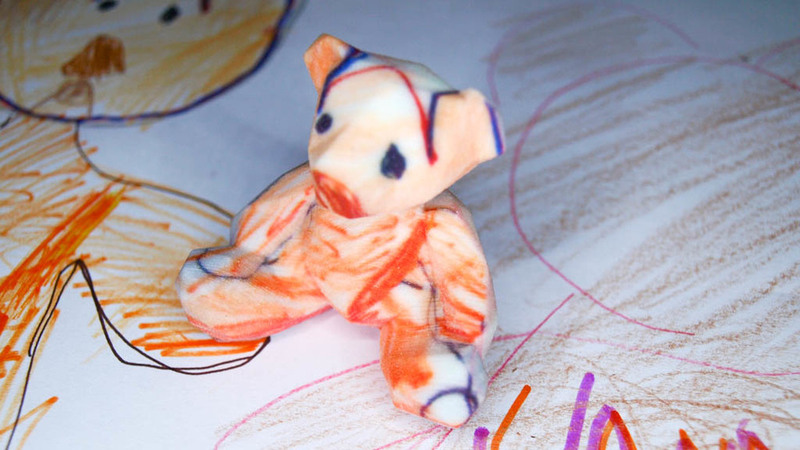 This is Jana, a teleported teddy. he just got 3D-Scanned, poly-abused and texturized. Jana is 1.5in tall (38mm); perfect for sitting on your desk watching you surf the interwebs. She is cool, just take some photos every now and then, and she’ll be happy. Jana loves music, loud and noisy if possible. Get some of them, and they’ll entertain themselves. 3D-Printed in full color, a very nice material with a sandstone finishing. Jana is made of 324 triangles, randomly colored. The primary aspect of Arlecchino was his physical agility. While generally depicted as stupid and gluttonous, he was very nimble and performed the sort of acrobatics the audience expected to see. The character would never perform a simple action when the addition of a cartwheel, somersault, or flip would spice up the movement. Jana wrapped with a traditional japanese wave pattern. Jana fully covered by rainbows. Because double rainbows are too mainstream! Built with a skin of bubbles and a hollow body. Inspired by the Pix-Cell works by Kohei Nawa. 3D Printed in Red nylon. 3D Printed in shiny black glazed ceramics, this Jana got a sleek fetishist look & feel. She is the big sister, 2 inches tall (50mm). wrapped with the Hong Kong Harbor. but Jana has polygon vertices. Jana painted from a kid’s drawing. 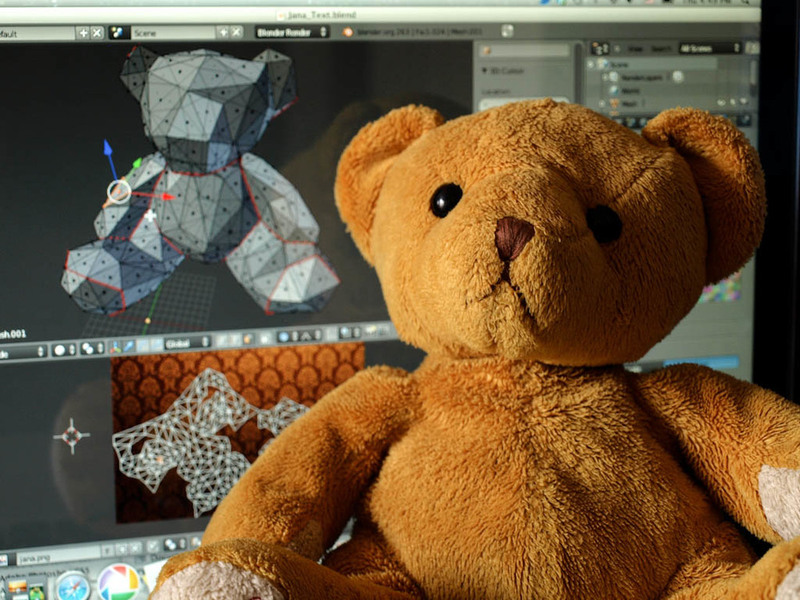 Jana is an ongoing collection of 3DPrinted toys based on a 3DScan of a real teddy bear combined with textures and modeling deformations. Each Jana model lives digitally in a server, and they are teleported to the physical world just when needed. The toys are made on-demand, they don’t exist until they are bought. The cleaning up and re-mesheing was done with MeshMixer. The texturing and UV mapping was done in Blender. 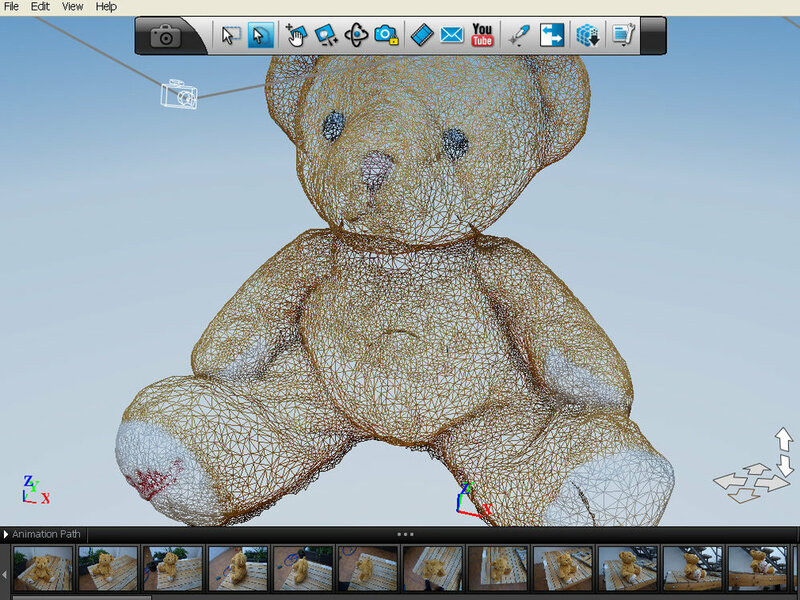 Mesh edits were done with MeshLab. Final fixes and file preparation for 3DPrinting was handled with Netfabb.